According to the American Diabetes Association, there are 18.2 million people living with diabetes in the United States and nearly one-third of these people have no idea. A great many of them have developed Type II diabetes, which generally strikes later in life. Your body uses insulin to convert sugar, starch, and other foods into energy, but when you have diabetes, your body either does not convert or produce insulin properly. However, even if you do not have diabetes, you can still have high blood sugar levels. This is known as prediabetes. While nothing will ever replace an exercise program and healthy eating, there may be another “natural” way to help regulate sugar in the body: aloe vera juice. You probably know that aloe vera is good for your skin. But when you drink the juice of an aloe vera plant, you could help lower your blood sugar levels. You could also lower your triglyerides, LDL cholesterol, and total cholesterol. These are two very important preventative measures for diabetics and non-diabetics alike. Two studies were conducted at the University of Bangkok using aloe vera juice. The first trial involved 72 patients aged 35 to 60. 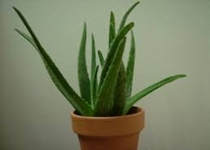 Researchers reported a significant reduction in blood sugar levels in those taking aloe vera juice. And this lowering of blood glucose continued throughout the duration of the trial. In the second study, 72 patients, aged 35 to 70, had blood glucose levels, which were again lowered, confirming the results of the first trial. If you have blood sugar levels that are higher than normal, be sure to pay close attention to your diet. Learn about the glycemic index and which foods are highest on the list. Putting extra thought into the foods you eat is worth it if it means controlling a prediabetic condition and avoiding the necessity of daily insulin shots. Be sure you exercise regularly. Take up swimming or biking to give your joints a break from carrying weight. Walking is excellent, too. Just remember to walk briskly for 45 minutes four times a week. That’s enough exercise to keep sugars burned and blood glucose levels stabilized. Remember to rehydrate by drinking plenty of water.